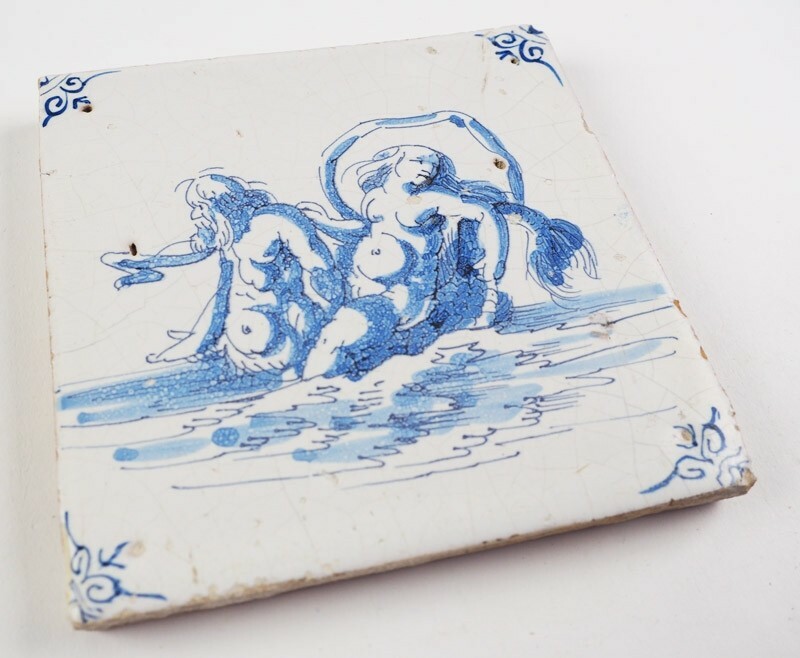 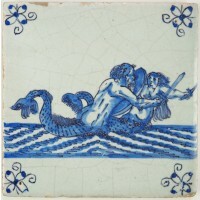 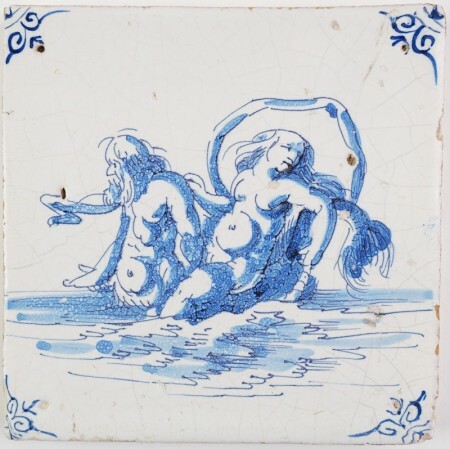 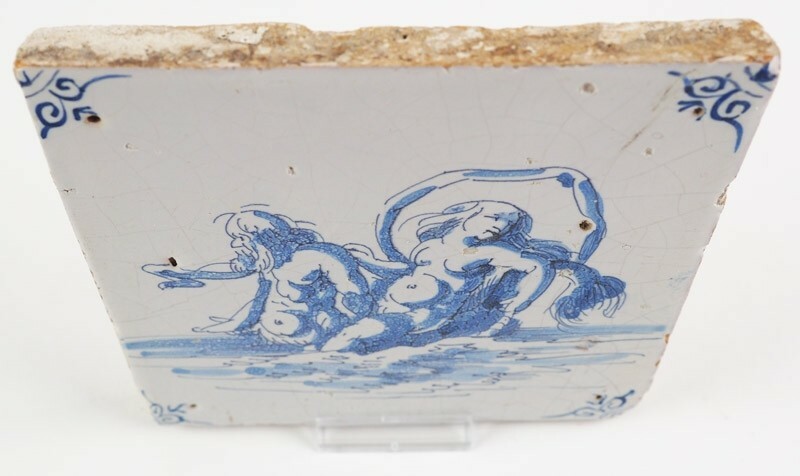 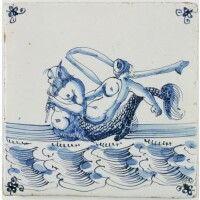 This is a beautiful mid 17th century (c. 1660) Delft tile in blue with a well-painted scene depicting a sea nymph riding on the back of a merman. 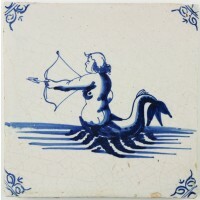 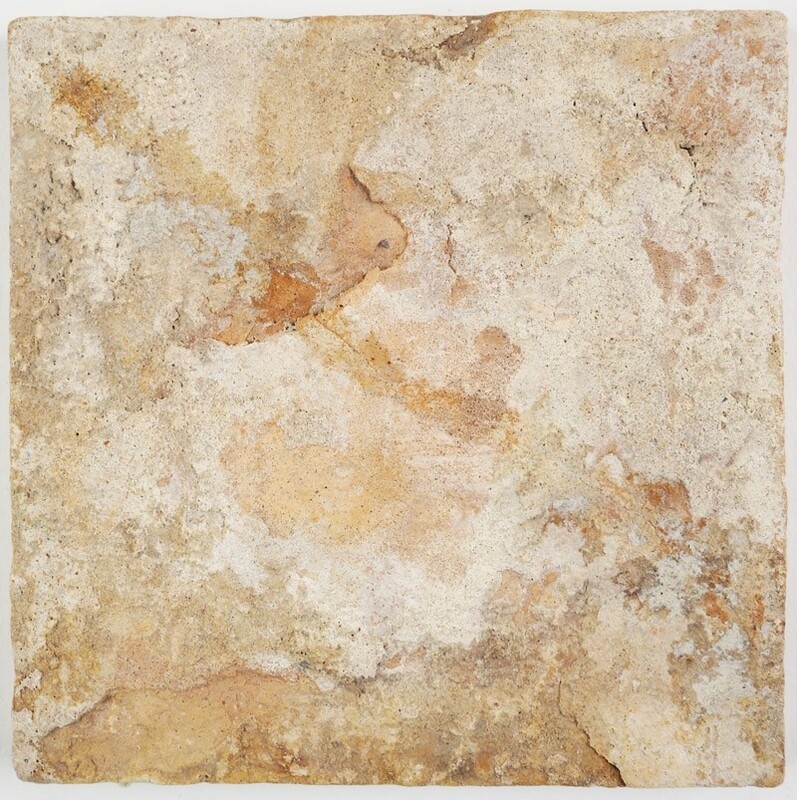 The tile was made in the Dutch city of Harlingen, known for their high quality and well-painted productions. 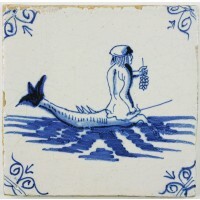 Also the deep 'pinholes' in the corners of the tiles are a characteristic of the production in Harlingen. 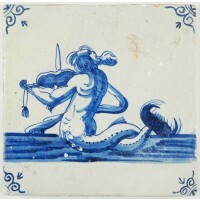 The tile is decorated with 'ox-head' corner motifs and in a good condition with a few minor dents accross the surface.